BOSTON DRUMMER CEASES ON VOYAGE In 1976, Rock band Boston scores #5 with More Than a Feeling. Boston’s drummer Sib Hashian lays down the band’s hot licks. In 1983, Sib leaves Rock group Boston but continues to perform with some of his former band mates. On March 18, 2017 Sib Hashian sets sail on a Legends of Rock Caribbean cruise. On Wednesday night, March 22, 2017 Rock group Boston former drummer Sib Hashian collapses onstage partway through his set on the Legends of Rock Cruise and passes away at 67. THE FOUNDATIONS CRACK In 1967, when The Foundations release its #1 hit Baby, Now That I’ve Found You its lead singer is Clem Curtis. Curtis is born in Trinidad and relocates to the UK as a teenager as a boxer. Soon, he begins to sing with The Foundations. In the 1970s, he has a solo career. Curtis also appears in musicals in London’s West End. Curtis’ wife informs the BBC: Unfortunately he has been diagnosed with two cancers. Doctors cannot do anything about it. On Monday, ‎March ‎27, ‎2017 singer Clem Curtis passes at 76. RADIO HOST’S WIFE SLAIN On Friday, March 27, 2017, a stranger’s domestic stress ends up a kiss of death for Diane Look, wife of Bob Look, Program Director and morning host on Seehafer Broadcasting News/Talk WFHR-1320 Wisconsin Rapids, WI. Police report 45-year old Nengmy Vang shows up at Marathon Savings Bank looking for his estranged wife with a gun in his hand. The shooter kills 67 year old Dianne [Dee Dee] Look, Naly Vang’s divorce attorney Sara Quirt Sann in her office and police officer Jason Weiland. WFLI-1070’S LAST FLIGHT Since its sign-on in February 1961, the Benns family’s WFLI-1070 is the powerhouse Top 40 for Chattanooga, TN thru the 1960s and 70s. Known as Jet-FLI with matching airplane sound effects, WFLI-1070 is an overnight success with the British Invasion, Motown and the Beach Boys. After more than 56 years of broadcasting, WFLI-1070, known as the Mid-South’s Most Powerful AM Station and once one of Chattanooga’s most popular radio stations, goes dark on March 31, 2017. TRIVIA QUESTION: What is Philadelphia, PA’s first commercial radio station? The answer appears below. •MANDY WILLIAMSON moves on up from mornings at Magic Top 40 WILN FM (Island 106) Panama City, FL to anchor a new morning show on LM Communications Hot AC WCDA FM (Your 106.3) Lexington, KY. •KBOQ-1260 Mount Wilson FM Broadcasters Standards Unforgettable 1260 Beverly Hills/Los Angeles, CA flips to 50s/60s Oldies K-Surf. •WMMR FM (93.3) Beasley Media Philadelphia, PA heritage Rock names Brent Porche new overnight DJ. Porche replaces Jacky Bam Bam who moves on up to 7:00 pm to 12:00 midnight show. •1958 U.S. NAVY forms atomic sub division on March 31st. •1961 MARTY ROBBINS’ single El Paso is Best Country & Western Performance during 3rd annual Grammy Awards on April 12th. •1973 KEN NORTON whips Muhammad Ali in 12 round split decision on March 31st. •1989 GILLEY’s in Pasadena, TX closes doors forever on March 30th. •1997 EDWIN HAIG ALBERIAN Clarabell the Clown on Howdy Doody dies on March 31st. •2002 MARTINA MCBRIDE’s single Blessed is #1 in Billboard Country on March 30th. NEWS BREAKS! JRRR NOW IN LYNN WOOLLEY’s WBDaily (www.wbdaily.com/) in the Radio and Television Categories section. JRRR IS IN CLAUDE HALL’s Vox Jox. www.VoxJox.org/ CASH BOX MAGAZINE FEATURES JRRR EVERYDAY ALL WEEK LONG http://cashboxmagazine.com/ Click the Jim Rose Remembers Radio Banner on the Home Page. MEDIA CONFIDENTIAL ‘Liked’ Links http://mediaconfidential.blogspot.com/ JRRR IS IN RadioDX. Click http://radionx.com/radio-blog-news/. JRRR is in Bob Dearborn’s THE OLDE DISC JOCKEY’s ALMANAChttp://oldediscjockeysalmanac.blogspot.com/. 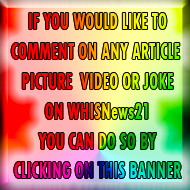 Send Your Radio News And Comments To Rosekkkj@earthlink.net. TRIVIA ANSWER: On March 20, 1922 WIP-AM goes on-the-air as Philadelphia, PA’s first commercial radio station founded by Gimbels department store. Many listeners mistakenly believe WIP stands for Wireless In Philadelphia, We’re In Philadelphia or Watch Its Progress. But, in fact, WIP is just a call sign that the federal government randomly selects. DAN MCCURDY [Charlie & Harrigan-Charlie Brown/Irving Harrington-KLIF-1190 08/64-06/65/WMEX- Boston/Dan Patrick-KBOX-1480 65] (Sherman-Denison, TX) Subject: Jim Rose Remembers Radio (#1602) March 27, 2017 [Monday]. To fully describe the C&H period at KLIF (1190)… Founding member Jack Woods was replaced as Charlie Brown in July 1964 by Dan McCurdy (KLIF’s previous overnighter). Ron [Irving Harrigan] Chapman, was succeeded in 1965 by Paul Menard. Chapman went to WFAA-TV as host of teen dance show ‘Sumpin’ Else’ while, also in ’65, McCurdy joined WMEX-AM in Boston, MA as morning air personality. WILLARD SCOTT (March 7, 1934 – p) I have the best job in the entire history of broadcasting.